Micromax brings Fun A63, a budget friendly phone. 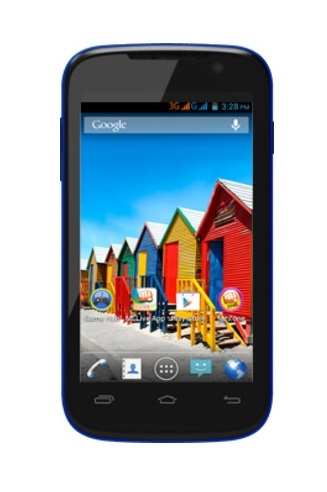 Fun A63 is available online in less than Rs 7000. Phone comes with 4 inch capacitive touchscreen. Fun A63 is powered by 1.3 GHz processor with 512 MB RAM and runs on Android 4.2.2 Jelly Bean operating system. Fun A63 have two separate internal storage; 1GB for Apps and 1GB for USB mass storage and storage can be expanded up to 32 GB via Micro SD cards. Fun A63 sports 2 megapixels rear camera with Flash and VGA camera on front side. Fun A63 have all the connectivity options like Bluetooth, WI-FI, 3G, and USB etc. A 1500 mAh Li- polymer battery is there which gives 4 hours of talk -time and 135 hours of standby.